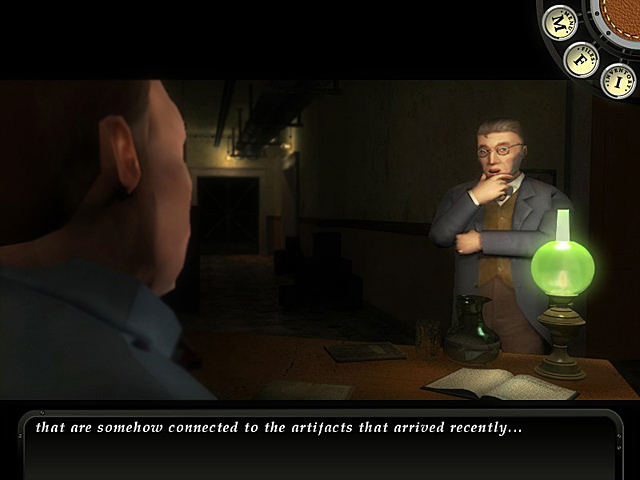 Help Professor Samuel Hunt, from the British Museum, discover the ancient secrets of some mysterious artifacts! After receiving a vague message and a manuscript, the Professor begins a journey that will take him all over the world. Use your wits to solve timeless riddles, and piece together the clues in this fun Adventure game. 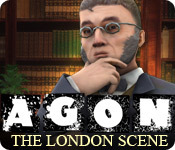 Figure out exactly what Professor Hunt is searching for in AGON: The London Scene! AGON - The London Scene is rated 3.0 out of 5 by 13. Rated 5 out of 5 by LucidDream from Great start to a promising series Agon: The London Scene offers a variety of clever and original puzzles, excellent graphics and an interesting beginning to what seems like it is going to be an exciting story. On the downside, as the first episode in a series it is very short and the story only barely gets started in this first episode. The best aspect of the game is the puzzles which are original, challenging but fair and logical and unusally well integrated into the story. 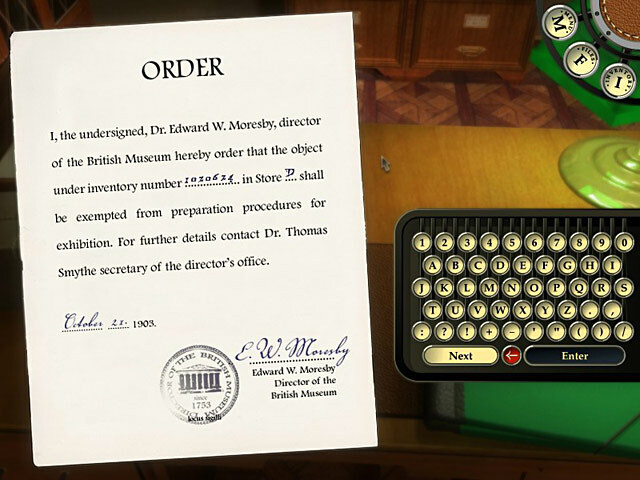 Solving the puzzles requires paying careful attention to everything you hear and read and the puzzles never felt like a slight variation on a puzzle that is commonly used in other games. The Graphics are excellent, the voice acting is good and music is appropriate although not all that varied. The story is exciting right from the start, but unfortunately in this short first episode there is not time for the story to develop very far. The shortness of the game is it's only real weakness. However, there isn't really anything wrong with the episodic format as such. It is just that when a short first episode is sold at the same price as a full game you may feel cheated. Still, I think this is a quality game that is well worth it's price despite the short length. In conclusion, with original and challening but fair puzzles, excellent graphics and a promising and exciting start to the story this is a great game that I would recommend to anyone who doesn't mind the episodic format and who isn't afraid of a bit of a challenge. Rated 5 out of 5 by Sergeij from AGON: An Acronym For What Seems A Very Promising Series! AGON is an acronym for "Ancient Game of Nations", and our protagonist, one Professor Samuel Hunt, of the British Museum, is up to his ears in antiquities and intrigue in this first, very short, installment in the AGON series. The Professor finds an important piece of sculpture which eventually takes him to Lappland, where he continues his quest to discover the statue's dark secret. Though short, the first installment was intuitive and quite necessary to the Professor's future quests. So, when thinking about purchasing one of the games from the AGON Series, I highly recommend that you start with "The London Scene," as this first part points you squarely in the right direction. By the way, the graphics and sound were superb, and the storyline was outstanding. Though short, this game was well worth the purchase price! BRAVO, Private Moon Studios! Rated 5 out of 5 by coha92 from The 3 Agon so far are amazing! 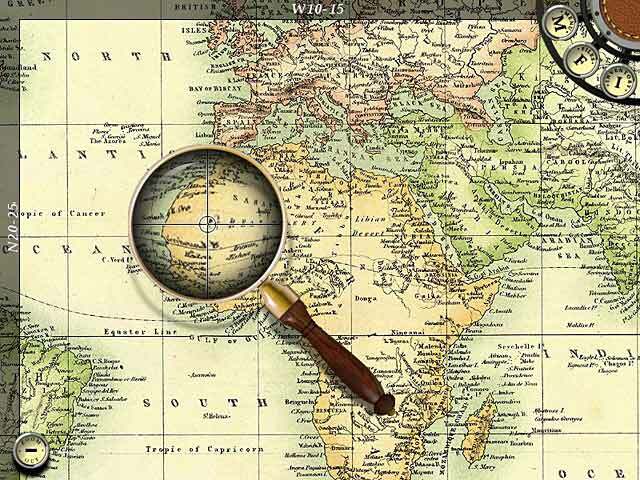 I just finished playing the 3 AGON games: The London Scene, From Lapland to Madagascar and The Lost Sword of Toledo. Even I had to look several times for help in the walkthrough sites, they're really amazing! It's a movie and you are part of it. What an imagination! I'm wondering when the next will come, I don't want to forget what it's it about. Rated 4 out of 5 by mummy1st from Very short 1st chapter of AGON series This is part 1 and it is very short. It took me just 1 hour! The story is very good, but you must buy AGON Alaska and you see the part 1 in very short details so you will understand. SO DON'T BUY THIS 1, BUT GO DIRECT TO PART 2/3!! Rated 3 out of 5 by Landofoz from Way Too Short to be considered a separate game While I enjoyed the "episode" I can't believe this is not bundled with the other AGON games. I completed it in about an hour. I can't believe they would charge the regular price for this as compared to other games that have many playable hours. I was about to quit for the day and then realized the game was over. With this being so short, I am not inclined to play the other 2. I am glad I used my free credit for this one. Rated 3 out of 5 by seatemple from Don't bother with this episode! I love this series, but this tiny section is not worth the money...it is SO short and a few puzzles to set you up for the other 2...Lapland and Toledo....start with Lapland. Rated 2 out of 5 by Raggy19 from Shockingly short I was just getting into it and it was over. No point in paying good money for this one. Rated 2 out of 5 by Lao_Zi from Disappointing 1st episode Don't judge the Agon series by this first episode, which is more like an introduction... and a disappointing one at that: you just walk around in the building, trying to gather information, listening to the boring voice of the main character, and then, all of a sudden, it's finished. And that's it: rather boring and way too short. But OK, the next installments are so much better... so, yes, you have to buy this one if you want to go on playing the whole series. That is why I give only 2 stars, but please, this counts only for this game... my ratings of the next episodes are much higher. Rated 2 out of 5 by gingergal from Really short, when you look at what you actually do This game is divided into chapters. This chapter is the first game. You have to buy the other chapters as each seperate game. So don't expect an ending to this game. AGON stands for ancient game of nations. And the main goal of each game (where it finishes) is to beat a board game. I found this to be very short, and there wasn't that much to do: after you took out the time of wandering around trying every door. The adventure side of it was a let down: as though you are in a museum with a lot of rooms, you don't go into many of them (I think 3 or 4). And the whole game is contained in this building. The puzzles were hard but not many, most of the time was taken up with about 2. If you are an adventure gamer like me, and like exploring and different environments then this isn't for you. If this game was released here in BF as 3 chapters (as I think it was at some time elsewhere) then I might have gotten into it more. And the adventure side, going to different locations may have been quenched a bit. so overall the shortness of it, lack of true adventure, concentrating too long on a couple of puzzles, and limited different environments were a complete disappointment to me.